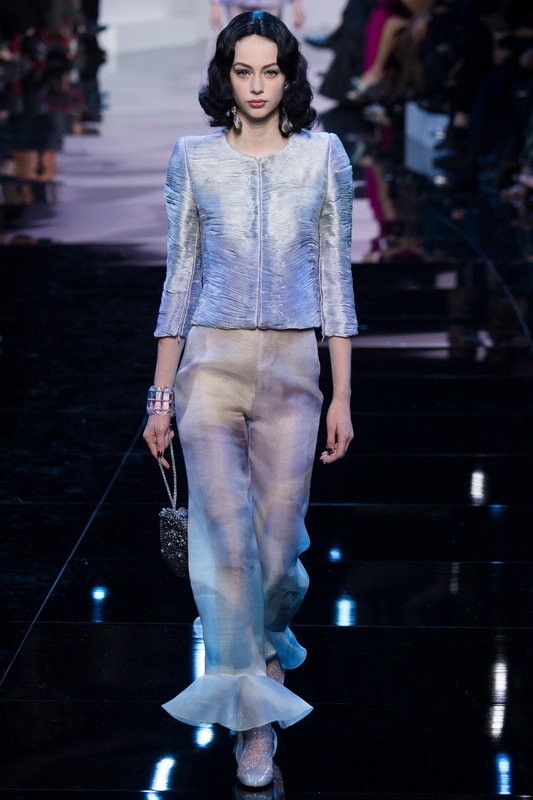 I have never written an Armani Privé collection review before. It was when I saw Jaimie Alexander wear that gorgeous number by the brand. It was actually what I would call mesmerising. 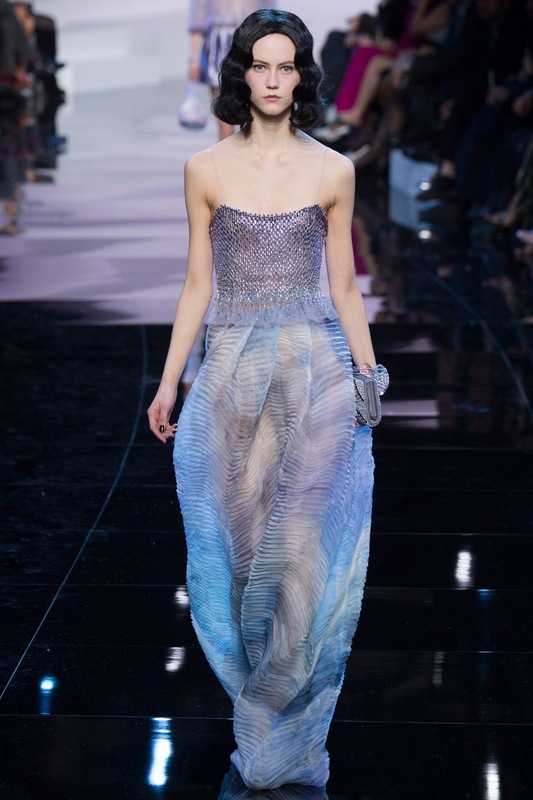 When i saw this dress, I just knew I would have to keep an eye out for the Armani Couture collection. I must say firstly before I start, that i absolutely adored this collection. I absolutely loved it. There was a particular dress that made the collection. The gorgeous 30s inspired, 90s slip dress which was scalloped with the most beautiful beaded embroidery. 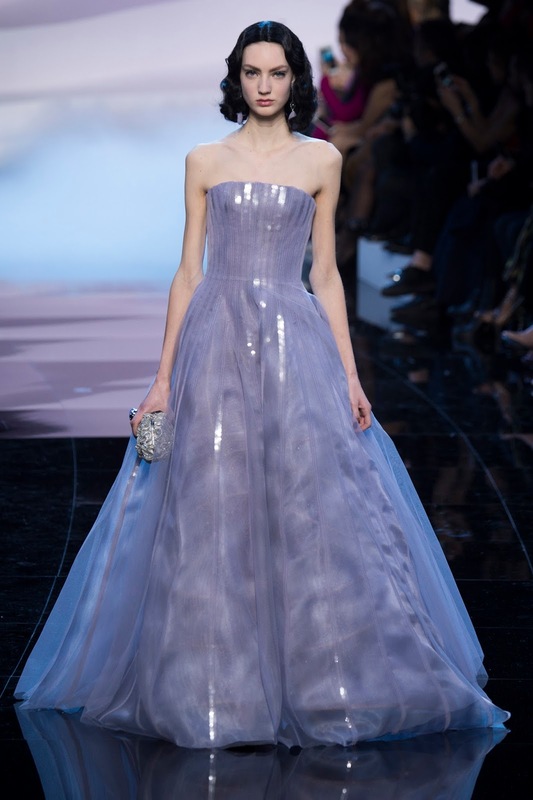 Shown in a gorgeous lilac colour it truly was the highlight of the collection. I feel that the gown will definitely make an appearance at the Oscars this year, well I hope so anyway. It was A-list, red carpet perfection. 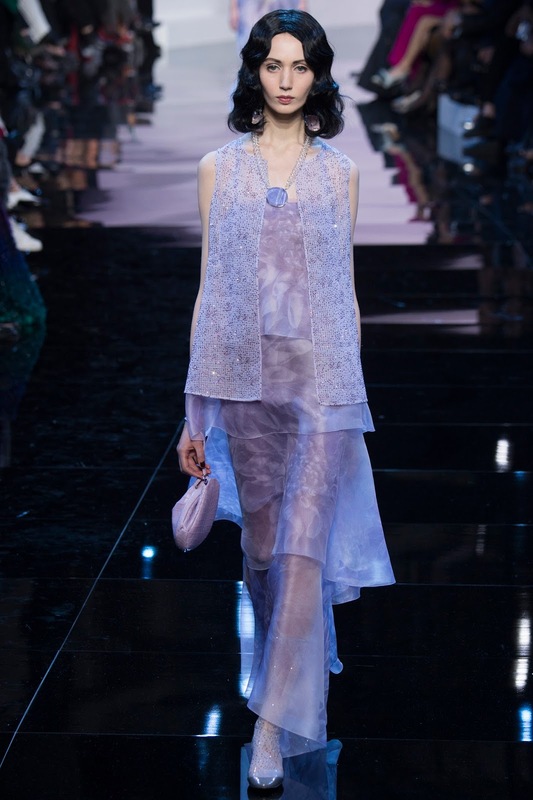 The theme of the lilac and purples - teamed with the muse of the swinging 60s - was kept throughout the collection and it was just so pleasing to the eye. 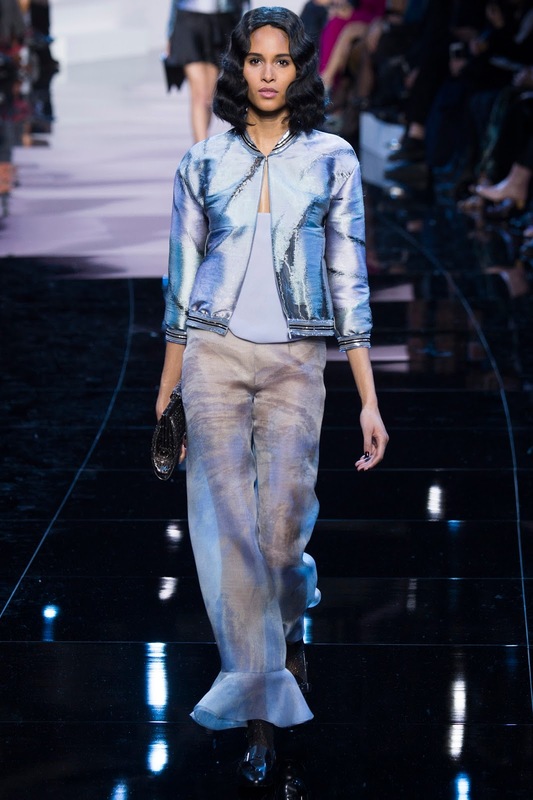 It's difficult for a designer to produce such a successful collection with a limited colour palette and inspiration - but Giorgio Armani is Giorgio Armani, and everything he does is absolutely applaudable. 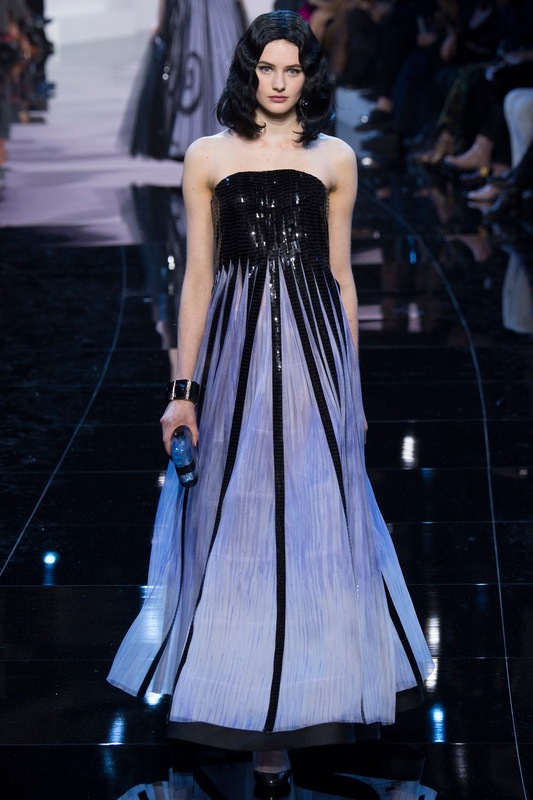 Jaimie Alexander wearing Armani Privé. 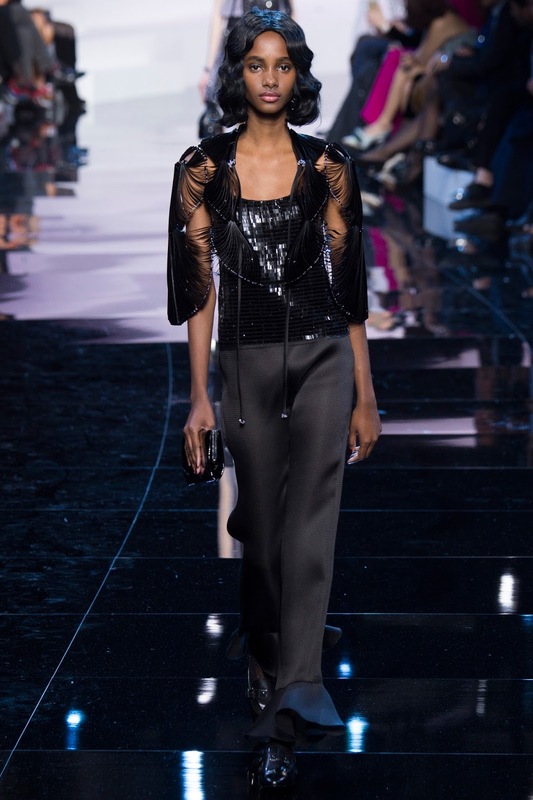 The fact that the collection was simple, with embellishment here and there was great. Giorgio is the mastermind of producing a low key collection that isn't in your face - but is just as couture as Chanel. The mauve theme did of course, alternate different patterns and garments throughout the collection. From the cute houndstooth shorts to sophisticated ruffled tops and skirts. 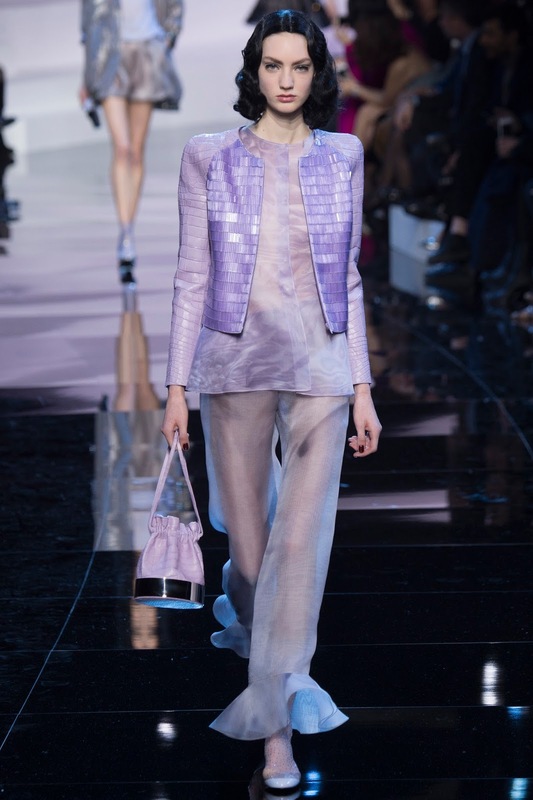 Metallics, sparkles and chiffon were just some of the fabrics Giorgio used for his lilac theme - giving us just that bit of diversity to ensure that the collection wasn't basic. In fact, it truly was far from that. 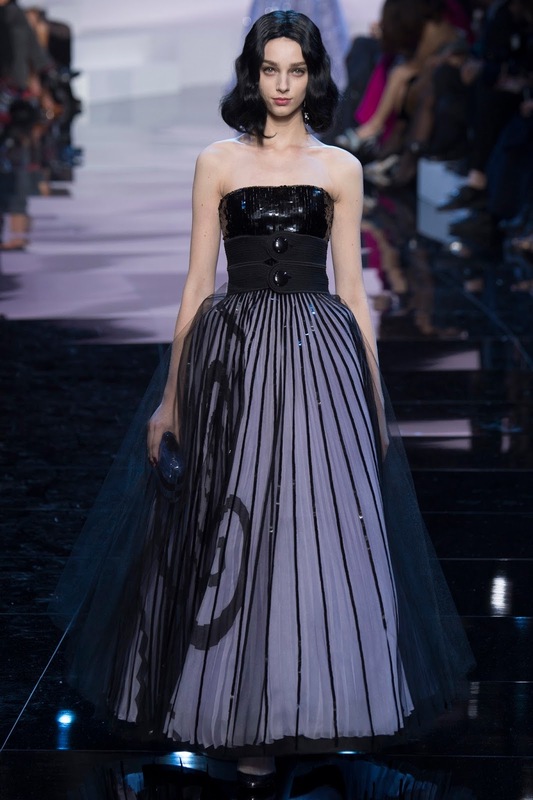 The collection as a whole conveyed a very youthful and fun feel - for a Couture collection this is perhaps unexpected. 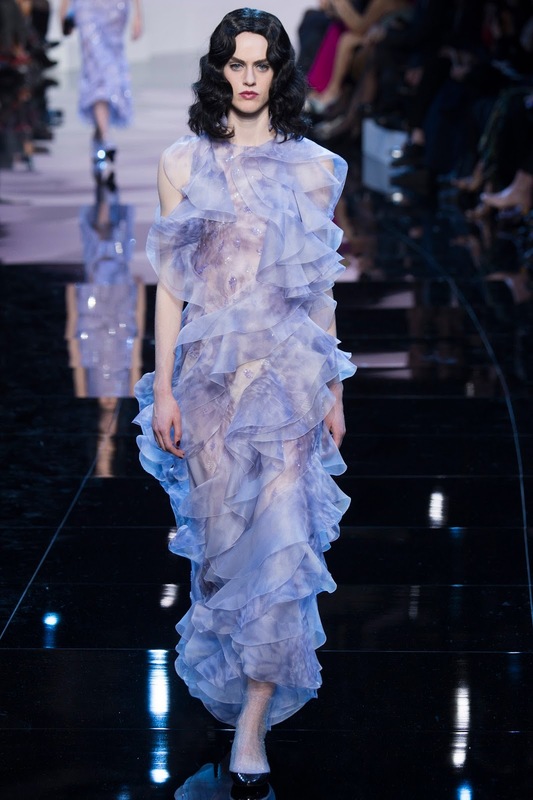 When we think Couture we expect the beautiful gowns, perhaps that which was worn by Jaimie Alexander, but this collection was just as couture as the typical red carpet gowns - with the embellishment and the amount of hours which were put in into making these beautiful looks. 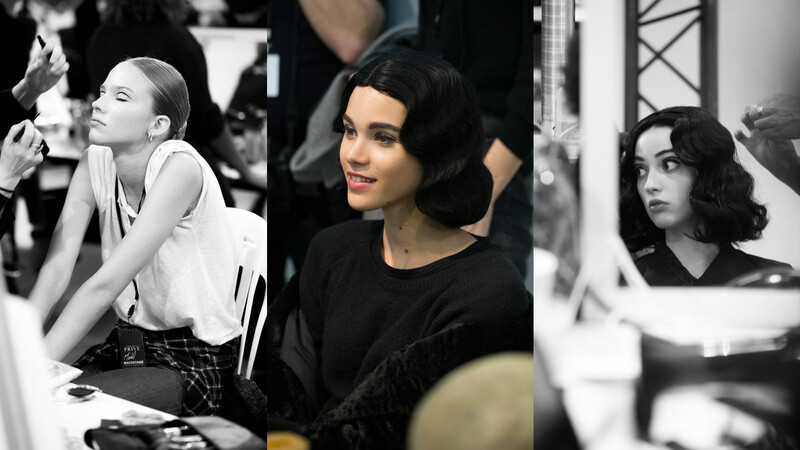 It wasn't just the garments that made the collection so great, but the beauty and hair of the models was gorgeous. 60s inspired hollywood waves with heavy lined eyes are definitely going to be a huge trend this Spring. It gave the collection a relaxed feel, and I always say that hair and makeup impacts an outfit greatly. It can turn a simple look into a killer outfit. I for one will be using these beauty looks this spring!